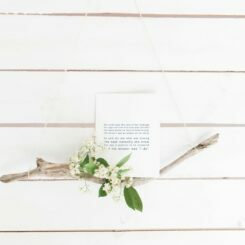 An order of service, or wedding program, is how you communicate important information, and what’s happening at your wedding ceremony. It’s also a lovely keepsake for your wedding guests. Scroll down to explore our exclusive collection of pre-designed Order of Service Wedding Programs. To find out more about a design, or to order, simply click on the corresponding image.